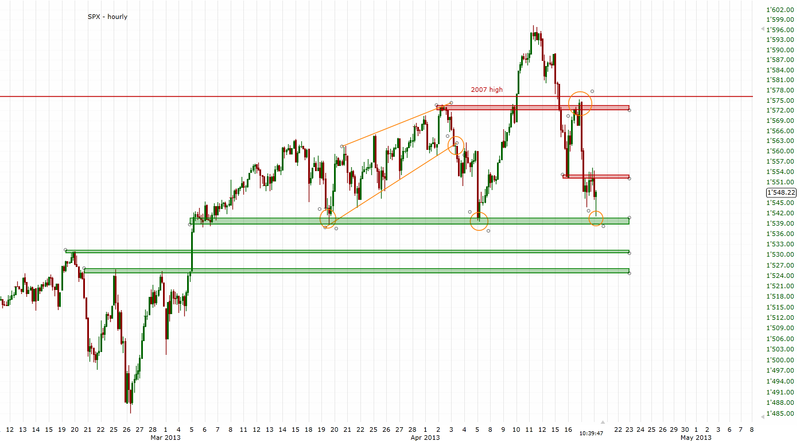 The first target for a short-term rally is 1553. 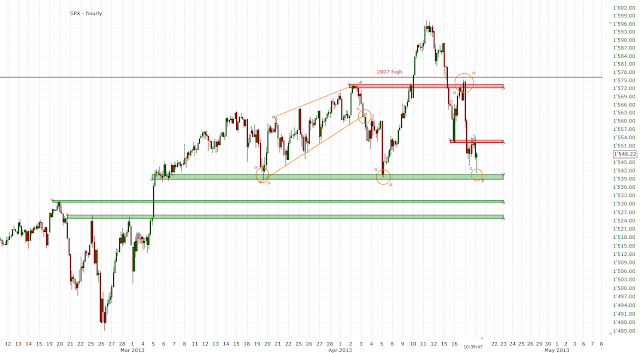 If we break it, we could even see an attempt to close the gap at 1574. If we break 1540, the medium-term trend is down and I think we could see prices below 1500 soon.